It is inevitable that someone studying learning and instructional design and technology (LIDT) will come across the term Learning Sciences. Yet, for many, that moniker is fundamentally ambiguous and misunderstood, and questions abound about this thing called Learning Sciences. Are there multiple learning sciences or is there one dedicated and official field referred to with the plural of Learning Sciences? Is one supposed to capitalize both words when writing about it? Is it essentially classic educational psychology with a new name? Does it involve things beyond the mental phenomenon of learning? Is it actually a science? Are there points of convergence, divergence, or redundant overlap with other fields, including those that would be seen in the field of instructional design and technology? Are those who call themselves learning scientists best seen as friends, rivals, or innocuous others to those who consider themselves instructional designers? There are so many questions. There are also many answers. And a lack of a one-to-one correspondence between questions and answers has persisted in the roughly 30 years (see Figure 1) since the term began to see heavy use (assuming we are concerned with the capitalized L and capitalized S version, which will be the default for this chapter). Figure 1. Use of the term Learning Sciences as depicted in Google’s Ngram viewer. A major continuous increase appears to occur around 1990. No article, book, nor chapter has been written that gives authoritative and definitive answers to these questions. The current chapter is no exception. Others have made noteworthy efforts, including contributors to a special issue of Educational Technology (Hoadley, 2004; Kolodner, 2004), those who have edited handbooks of the Learning Sciences (Fischer, Hmelo-Silver, Goldman, & Reimann, in press; Sawyer, 2006), and those who have prepared edited volumes that gather and publish firsthand reports from a number of seminal learning scientists (Evans, Packer, & Sawyer, 2016). In a sense, all of the above are snapshots of a still-unfolding history, and I recommend them all for the interested reader. This chapter exists as an effort to crudely present Learning Sciences to the LIDT community as it exists at this point in time from one point of view. The current point of view is presumably legitimized because the author of this chapter has the words Learning Sciences on his diploma and serves professionally for Learning Sciences conferences, journals, and academic societies. As the author, I do lead with the caveat that some of what I have to say here is an approximation and inherently incomplete. However, I present the following with confidence that it helps one make some progress on understanding what this thing is called Learning Sciences. There seems to be consensus that Learning Sciences is a relatively young [#footnote-796-1], interdisciplinary academic field. (The word learning is obviously important.) Yet the same could be said for other fields, including many that are more prominently known as LIDT fields. In addition, many seemingly related questions and problems touching on teaching, learning, and technology are addressed by both Learning Sciences and LIDT fields. Yet some people will adamantly maintain that the fields are, at their core, fundamentally different bodies who do different things. Others will argue that those differences are inconsequential and that, functionally, they are the same. So in response to these differing views, I suggest we consider the similarities between Learning Sciences and other LIDT fields as analogous to convergent evolution in evolutionary biology—the process by which dolphins and sharks evolved similar traits but were preceded by different genetic histories. There is certainly much overlap in what each field does and the spaces each inhabits, but the histories leading up to each are markedly different. Those histories matter, because they formed the skeletons for the bodies that exist today and help us understand why there may be some underlying differences coupled with functional similarities. If Figure 1 is any indication, the recent history of Learning Sciences goes back about 30 years, and it can be traced to some important locations and events [#footnote-796-2]: namely, the first International Conference of the Learning Sciences (ICLS), which took place in 1991 and was connected to the Artificial Intelligence in Education (AIED) community. No formal society nor publication venue for Learning Sciences existed at that time. The first ICLS was hosted in Evanston, Illinois, in the United States, home of what was then the Institute for the Learning Sciences and the first degree program in Learning Sciences, at Northwestern University. The year 1991 was also when the first issue of the Journal of the Learning Sciences was published. The connection to the AIED community is central to the historic identity of Learning Sciences. In the 1980s, cognitive science had emerged as an interdisciplinary field that, along with segments of computer science, was concerned with the workings of the human mind. The so-called “cognitive revolution” led to interdisciplinary work among researchers to build new models of human knowledge. The models would enable advances in the development of artificial intelligence technologies, meaning that problem solving, text comprehension, and natural language processing figured prominently. The concern in the artificial intelligence community was on the workings of the human mind, not immediately on issues of training or education. The deep theoretical commitments were to knowledge representations (rather than to human behaviors) and how computers could be used to model knowledge and cognitive processes. Of course, as work in the years leading up to the first ICLS progressed in how to model and talk about (human) cognition, many had also become interested in using these new understandings to support learning and training. Intelligent tutoring systems gained prominence and became an important strand of work in Learning Sciences. That work continues to this day, with much of the work having ties historically to institutions like Carnegie Mellon University and the University of Pittsburgh. These tutoring systems were informed by research on expertise and expert-novice differences along with studies of self-explanation, worked examples, and human tutoring. Many of those who did original work in those areas still remain in Pittsburgh, but their students, colleagues, postdoctoral fellows, and others have since established their own careers in other institutions. 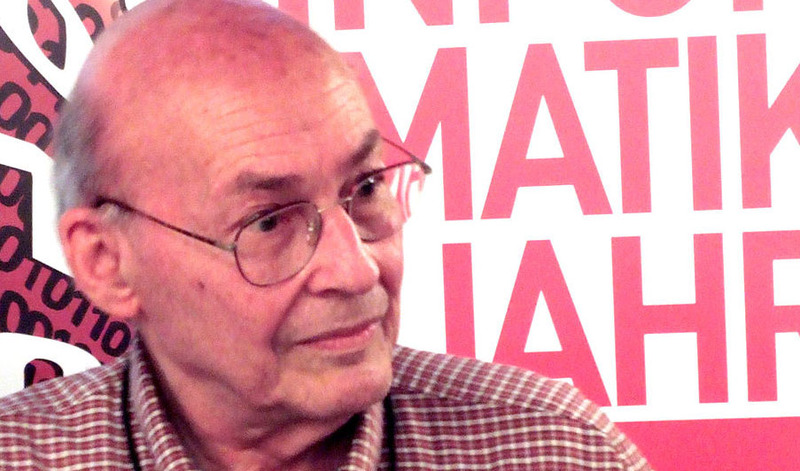 Another locus of work on artificial intelligence was at the Massachusetts Institute of Technology, home to the Artificial Intelligence Laboratory (now known as the Computer Science and Artificial Intelligence Laboratory [CSAIL]) founded by the late Marvin Minsky. Also at MIT was Seymour Papert, who was named co-director of the AI Lab. Papert was a mathematician who contributed significantly to early AI research with Minsky. Papert saw early on the tremendous power of computers and their potential for learning and knowledge construction and became a passionate advocate for learning through computation, expressed largely through his theory of constructionism (Papert, 1980) and in the creation of the Logo programming language with Wallace Feurzig. Papert’s research program migrated away from classical AI research and more toward issues of epistemology and learning. His efforts later led to the creation of the MIT Media Lab. A number of scholars trained with him, and the ideas and technologies generated at the Media Lab would spread with students who went on to positions at other institutions. As a result, constructionism, computational thinking, and Papert’s sense of “powerful ideas” continue to be major strands of Learning Sciences to this day. Papert was not the only one interested in how people learned to do computer programming [#footnote-796-3]. Relatedly, programming was a concern for the Pittsburgh tutoring systems and also for others involved in the field, such as Elliot Soloway, who was initially at Yale before later relocating to University of Michigan. Others influential in the field were asking questions about what cognitive benefits result from learning to program. One such person was Roy Pea, who had been doing work in new educational technology and media with Jan Hawkins at the Bank Street College in New York. In Cambridge, educational technology endeavors informed by recent cognitive science were being pursued at places like Bolt, Beranek, and Newman (BBN) by the likes of John Seely Brown and Allan Collins, among other talented social scientists and technologists. These early scholars represented a part of the new educational media and computer programming sphere of research and development. Text comprehension was another important area of initial research in artificial intelligence, with research on text and reading taking pace in numerous places, including Yale, University of Illinois, and Vanderbilt to name a few. There are numerous scholars of major influence who were involved at these different institutions, and any effort on my part to name them all would certainly fail to be exhaustive. A few to note, however, include Roger Schank, who relocated from Yale to Northwestern University, established the Institute for the Learning Sciences, and amassed faculty who would subsequently establish what has become the oldest academic program in the field; Janet Kolodner, who studied case-based reasoning in AI text-comprehension systems at Yale, proceeded to move on to a successful professorship at Georgia Tech, and was founding editor of the field’s first journal; John Bransford at Vanderbilt University; and Ann Brown at University of Illinois, who then moved with her husband, Joseph Campione, to University of California, Berkeley. Schank and Bransford, with their respective teams at their institutions, were developing new ways to integrate narrative story structures into technology-enhanced learning environments based on the discoveries that were being made in text-comprehension and related cognition research. Brown, with her student Annemarie Palincsar (who moved on to University of Michigan), worked on extending seminal work on reciprocal teaching (Palincsar & Brown, 1984) to support improvement in text comprehension in actual real-world classroom contexts. The desire to use the new tools and techniques that were being developed from this cognitive research in actual learning settings rather than laboratories had been growing at all the aforementioned locations and led to the development of a methodological staple in Learning Sciences research: design-based research (Brown, 1992; Collins, 1992), to be elaborated upon more below. Thus far, what one should be able to see from this gloss of Learning Sciences history is the major areas of research. For instance, cognitive science and artificial intelligence figured prominently. Understanding how to best model knowledge and understanding in complex domains continued to be a major strand of research. New technological media and a focus on children expressing and exploring new ideas through computer programming played prominently. There were also inclinations to look at story structure as it related to human memory in order to improve the design of tools and technologies for learning. Finally, there was a desire to take all these discoveries and findings and try to get them to work in actual learning settings rather than laboratories. These were not unified positions but rather all core areas of research and interest in the group that was coming together to establish the field of Learning Sciences. With that list in mind, and knowing that academic conference keynote lectures are usually given to high-profile or aspirational figures in the field, we have some context for the following list of invited keynote addresses at the first ICLS in 1991. In that list, we can see the Vanderbilt group represented along with Collins and Soloway. Andrea diSessa, a prominent and frequently cited scholar in Learning Sciences (Lee, Yuan, Ye, & Recker, 2016) and in other fields, had completed his PhD at MIT in physics and worked closely with Seymour Papert. diSessa’s areas of research included students learning to program and how physics is learned. His academic career is largely associated with the institution where he spent most of his time as a professor: the University of California, Berkeley. Other important scholars at this point were Greeno and Scardamalia, who will be covered in the sections below. Cognitive science and artificial intelligence were major influences in Learning Sciences, but contemporary work in the field is not exclusively intelligent tutoring systems, research on students’ mental models, or how people learn to program or use new digital media. A major, if not primary, strand of Learning Sciences research is based on a sociocultural perspective on learning. At times, this maintains an ongoing tension with the cognitive- and AI-oriented perspectives, and active dialogue continues (diSessa, Levin, & Brown, 2016). John Seely Brown, mentioned previously as being a key figure in the New England area, was later brought to the West Coast to work for Xerox PARC (Palo Alto Research Center) and head the new Institute for Research on Learning (IRL). Part of the activities of the IRL team at PARC involved studying how to support learning, including in the photocopying business (Brown & Duguid, 1991). Importantly, the Bay Area location positioned PARC near the University of California, Berkeley, where scholars like Alan Schoenfeld, Peter Pirolli, Marcia Linn, Ann Brown, Andrea diSessa, and James Greeno had all been hired into a new program focusing on education in mathematics, science, and technology. Of great importance was the presence of Jean Lave, who was also on the faculty at Berkeley. Lave, an anthropologist by training, had studied how mathematics was done in everyday life, discovering that what mathematics looked like in practice was very different from how mathematics understanding was conceptualized by the cognitive psychologists (e.g., Lave, Murtaugh, & de la Rocha, 1984). Additionally, Lave and Wenger published a seminal monograph, Situated Learning (1991), summarizing several cases of learning as it took place in actual communities of practice. The learning involved much more than knowledge acquisition and instead was better modeled as changes from peripheral to central participation in a community. Adequately encapsulating the extensive work of Lave, Wenger, and colleagues is well beyond what can be done in a chapter. However, they earned the attention of Greeno (Greeno & Nokes-Malach, 2016) and others by suggesting that entirely different units of analysis were necessary for people to study learning. These perspectives were largely cultural and social in nature, taking talk and interaction and material artifacts as they were taken up in practice as critical. At the time, there were also groundbreaking works published, such as the translation of Lev Vygotsky’s work (1978), Barbara Rogoff’s studies of real-world apprenticeship (Rogoff, 1990), and Edwin Hutchins’s bold proposal that AI approaches to cognitive science were being far too restrictive in recognizing and understanding cognition as it happened “in the wild” (Hutchins, 1995). These ideas had a great deal of influence on the emerging community of learning scientists, and the close proximity of the scholars and their ideas led to major public debates about how learning could best be understood (Anderson, Reder, & Simon, 1996; Greeno, 1997). The establishment and acceptance of cultural-historical activity theory and the work of Michael Cole (an institutional colleague of Hutchins) and Yrjo Engestrom also figured prominently as CHAT found a place in education and other scholarly communities. Also influential was James Wertsch, an anthropologically oriented, cultural historical educational scholar. In essence, a critique of mainstream cognitive science and an alternative perspective had emerged and attracted a contingent. Graduate programs and major research centers formed, and still the networks of scholars that existed continued to dialogue with one another and produce trainees who would later continue developing the newly created field of Learning Sciences. Those individuals would shape the scholarly agenda and produce theoretical innovations for how learning was conceptualized that were different from what had been dominant in previous academic discourse. Much of contemporary Learning Sciences research has extended these ideas. Rather than focusing on knowledge, many learning scientists focus on social practices, whether they be scientific or mathematical practices, classroom practices, or informal practices. Identity as a socially constructed and continually mediated construct has become a major concern. Seeking continuities between cultures (with cultures not necessarily being geographical nor ethnic in nature) and discovering how to design activities, tools, or routines that are taken up by a culture or give greater understanding of how cultures operate remain ongoing quests. Other concerns include historicity, marginalization of communities, cultural assets rather than cultural deficits, equity, social justice, and social and material influences on spaces that are intended to support learning. Helping people learn and using new technologies remain important themes, but rather than focusing on computers solely as tutoring systems or spaces where simulations of complex phenomena can be run, current learning sciences technologies with a sociocultural bent allow for youth to collect data about their cities and critically examine equity and opportunity; to become community documentarians and journalists so that local history is valued and conserved in line with the individual interests of participating youth; to build custom technologies of students’ own design that better the circumstances of their peers, homes, and communities; and to obtain records of everyday family or museum or after-school activities that have embedded within them germs of rich literary, mathematical, historical, or scientific thought. Current technologies also act as data- and knowledge-sharing tools that help make invisible practices and routines in schools more visible to teachers and other educators. In the early days of Learning Sciences, cognitive and sociocultural perspectives figured prominently, in addition to the opportunity to look at and modify intact educational systems rather than relegating research to strictly the laboratory. The relationships being built and dialogues taking place were critically important, as was the proximity of research centers to universities that were establishing associated degree programs. However, according to Stahl (2016), some distance grew after the first ICLS conference. Some of this distance was geographic, but it also had a great deal to do with what got spotlighted as internally sanctioned Learning Sciences research. The community that participated in the first ICLS that began to feel a rift was the Computer Supported Collaborative Learning (CSCL) community. Many, but not all, scholars in this area were located in Europe. CSCL, like the rest of the Learning Sciences community, was also seriously interested in cognition, new technologies, and social contexts of learning. However, if there were some distinguishing features of the CSCL community, the focus on technology-mediated group cognition figured prominently. Several topics were important for looking at how people learned together online in designed spaces. Examining conceptual change as it became a reciprocal and negotiated process between multiple parties using a technology was also part of this group emphasis. Scripting that informed implicit expectations for how students would interact and move through collaborative learning activities became a major focus. Online knowledge building environments with asynchronous participation and online discourse were also a big focus of CSCL. Ideas about collaborative learning from Naomi Miyake (Chukyo University, then University of Tokyo, Japan), Jeremy Roschelle (SRI International, USA), Stephanie Teasley (SRI International, now at University of Michigan, USA), Claire O’Malley (University of Nottingham, UK), Frank Fischer (Ludwig-Maximilian University of Munich, Germany), Pierre Dillenbourg (University of Geneva and later at École Polytechnique Fédérale de Lausanne, Switzerland), Paul Kirschner (Open University, Netherlands), Gerry Stahl (Drexel University, USA), Marlene Scardamalia and Carl Bereiter (Ontario Institute for Studies in Education, Canada), and Timothy Koschmann (Southern Illinois University, USA) were formative. [#footnote-796-4] Sometimes classrooms were the focus, but other learning settings, such as surgical rooms or online forums, became important research sites as well. CSCL became a distinct enough strand of research that its own workshop was held in 1992 and then its own conference in 1995. Analyses of networks of collaboration and conference topics appear in Kienle and Wessner (2006). There were scholars who consistently appeared at both ICLS and CSCL conferences. Activity in one conference was in no way mutually exclusive from activity in the other. However, there were eventually contingents that were more drawn to one community over the other. Ultimately, given deep overlaps and crossover between CSCL and ICLS, a formal society that oversaw both conference series, the International Society of the Learning Sciences (ISLS), was established in 2002. Many of the aforementioned CSCL scholars were elected president of that society as the years proceeded, and many early graduate students who participated in the formation of these communities and the Learning Sciences field, who went on to become established scholars themselves, were elected as well. In 2006, the International Journal of Computer-Supported Collaborative Learning was established as a leading publication venue, with Gerry Stahl as founding editor. This was officially sponsored by the ISLS, as was the society’s other flagship journal that had been operating since 1991, Journal of the Learning Sciences, with Janet Kolodner as the founding editor. As an interdisciplinary field with a mix of cognitive, computational, sociocultural, and anthropological traditions all in dialogue, the methodological palette began with and maintained a great deal of diversity. Controlled experiments, think-aloud protocols, interview studies, field work, and computational modeling all appear in Learning Sciences research along with other methods and methodological approaches. However, Learning Sciences strongly associates itself also with the articulation of design-based research as a methodology. The nature of design-based research has been described in many places elsewhere (Cobb, Confrey, diSessa, Lehrer, & Schauble, 2003; The Design-Based Research Collective, 2003; Sandoval & Bell, 2004), and new innovations to support that paradigm have been developed in the over two and a half decades since it was first introduced in academic publication (e.g., Sandoval, 2013). The simplest articulation of design-based research is that it involves researchers working with real educational settings and introducing new tools, practices, or activities that embody a set of assumptions that exist based on prior research. For example, one might know from the existing literature that metacognitive support can improve learning outcomes during laboratory text-comprehension tasks. Rather than accept that as a given and hope that this finding gets translated on its own into classroom practice, the aspiring design-based researcher may then design and develop a new software tool that helps students continually monitor their own understanding and reflect on their own progress when reading science texts at school. The researcher would then test it informally to make sure it is usable and make arrangements with a local school to have some of their English classes use it. Upon bringing it into a school classroom, they discover that the metacognitive supports are actually confusing and counterproductive in the classroom because so much depends on whether students find the topic engaging and whether the teacher can orchestrate a classroom activity to split instructional time such that students begin by using the tool, participate in a reflective discussion with the teacher, and then return to the tool. The design-based researcher may discover that, unlike the 15-minute sessions reported in the existing literature when metacognitive training was done in the lab, a week is actually required to smoothly implement the tool in the classroom. The teachers need some help noticing what student comments to build upon in the reflection discussions. Texts need to be modified to immediately connect more to topics students already know. In this experience, a well-meaning researcher attempted to take the best of what was known from prior research and ended up taking participants on a much more complicated journey than intended. That journey began to reveal how metacognitive activity works in a real education setting, how software tools should be designed and used in school settings, and what sorts of things classroom teachers need to do with the software to make it maximally effective. To verify that these new discoveries are actually valid ones, the researcher implements some revisions and sees if the expected outcomes emerge. If not, the design-based researcher repeats, or reiterates, the design work with that classroom. That cycle is a very general summary of how design-based research unfolds. The researcher may have varying levels of involvement in the educational setting, where they may provide some initial professional development or training to a facilitator and then watch what unfolds later or where they may directly lead the classroom activities by their self. Design-based research can be a solo endeavor or a major team one. The benefit of this type of research is that it puts theoretical assertions (e.g., metacognitive supports improve text comprehension) in harm’s way by allowing for the complexity of the real world to be introduced. This helps to refine (or even establish) stronger theory that speaks to complexities of how learning works in different systems. The intact unit could be a single student, a single classroom, a group of teachers, multiple classrooms, multiple grade bands in a school, a museum exhibit, a museum floor, an after-school program, a university course, or an online course. The outcomes of design-based research are articulated especially nicely by Edelson (2002), who argues that design-based research ultimately produces new knowledge about domain theories, design frameworks, and design methodologies. diSessa and Cobb (2004) have also suggested that design-based research can be the locus for new theoretical constructs to emerge. As design-based research has matured, some have pushed to broaden its scope to speak to larger educational systems. Rather than working with individual students or classrooms, design-based implementation research (DBIR) promotes partnership with educational institutions such as entire schools or school districts (Penuel, Fishman, Cheng, & Sabelli, 2014). Related design-based approaches also appear as improvement science (Lewis, 2015) and in research-practice partnerships (Coburn & Penuel, 2016). As of late, these have been receiving more attention. Optimistically, we could see this as the desire of funding agencies and academic communities to scale important findings from the past decades of design-based research and to understand what enables new and powerful tools and activities to support learning and impact more learners. As such, it is common for design-based research to appear in Learning Sciences research, whether in a single study or across a multi-year research program that may involve dozens of researchers and multiple academic institutions working in partnership with educational systems. Again, even though design-based research is prominent, effective and successful learning scientists need not claim design involvement in order to be considered as meaningfully contributing to the field. It does help, however, to be aware of the methodological approach, its history, warrants for arguments made through design-based research, and the kinds of knowledge that the field develops from design-based studies. It is also important to consider that design-based research has broadened in its appeal such that other fields are participating in design-based research without having prior historical ties to the Learning Sciences. To summarize, Learning Sciences has a history that gives it its unique character. That history is tied to cognitive science and artificial intelligence, to new forms of educational media, to sociocultural and situative critiques and studies of learning, to group cognition as it involves multiple learners and technology mediation, and to an appreciation for what design can do in service of advancing academic knowledge. At its surface, this looks much like what LIDT fields also care about and also pursue. In broad strokes, that is true. However, the histories of Learning Sciences and LIDT fields have differences, and those origins ripple unintentionally in terms of what conferences and what journals are favored. The argument has been made that LIDT and Learning Sciences have much to gain from more cross talk, and that is likely true. However, that cross talk has not always happened (Kirby, Hoadley, & Carr-Chellman, 2005), and perceptions remain that fundamental barriers exist that discourage such cross talk. In some cases, strong academic departments have split because faculty in them felt that LIDT and Learning Sciences were incompatible. However, there have since been deliberate efforts to close perceived rifts. For example, Pennsylvania State University made a deliberate effort to hire individuals trained in Learning Sciences (Chris Hoadley, Brian K. Smith) into their already strong LIDT-oriented department, and that promoted dialogue and relationship building, although the LS-oriented faculty composition has since changed. Utah State University hired Mimi Recker, an early student of the Berkeley program that emerged in the 1990s and subsequently took on a blended departmental identity (USU ITLS Faculty, 2009). Members of the University of Georgia Learning and Performance Systems Laboratory (Daniel Hickey and Kenneth Hay) took positions in a new Learning Sciences program established at Indiana University. The push for more relationship building is now there. The future of the relationship between LIDT and Learning Sciences organizations and programs is ultimately up to those who are currently training as students in those fields. As someone who has been operating in both spaces, although I was explicitly trained in one, I understand many barriers are actually illusory. There are different foci and theoretical commitments and expectations in each field, but both communities deeply care about learning and how we can build knowledge to improve the tools, practices, and environments that support it. To gain traction in the other field, people simply start by reserving judgment and then reading the other field’s core literatures. They start conversations with individuals who are connected to the other field and initiate collaborations. They get excited about ideas that other parties are also currently thinking about, and they have dialogue. In fact, that’s the simplified version of how Learning Sciences began. It could be the beginning of the history for a new multidisciplinary field in the future as well. Anderson, J. R., Reder, L. M., & Simon, H. A. (1996). Situated learning and education. Educational Researcher, 25(4), 5–11. Brown, A. L. (1992). Design experiments: Theoretical and methodological challenges in creating complex interventions in classroom settings. Journal of the learning sciences, 2(2), 141–178. Brown, J. S., & Duguid, P. (1991). Organizational learning and communities-of-practice: Toward a unified view of working, learning, and innovation. Organization Science, 2(1), 40–57. Collins, A. (1992). Toward a design science of education. In T. O’Shea & E. Scnalon (Eds. ), New directions in educational technology (Vol. 96, pp. 15–22): Springer Verlag. diSessa, A. A., & Cobb, P. (2004). Ontological innovation and the role of theory in design experiments. Journal of the learning sciences, 13(1), 77–103. diSessa, A. A., Levin, M., & Brown, N. J. S. (Eds.). (2016). Knowledge and Interaction: A Synthetic Agenda for the Learning Sciences. New York, NY: Taylor & Francis. Edelson, D. C. (2002). Design research: What we learn when we engage in design. Journal of the learning sciences, 11(1), 105–121. Evans, M. A., Packer, M. J., & Sawyer, R. K. (Eds.). (2016). Reflections on the Learning Sciences. Cambridge University Press. Fischer, F., Hmelo-Silver, C. E., Goldman, S. R., & Reimann, P. (Eds.). (in press). International Handbook of the Learning Sciences. New York: Routledge. Greeno, J. G. (1997). On claims that answer the wrong questions. Educational Researcher, 26(1), 5–17. Greeno, J. G., & Nokes-Malach, T. J. (2016). Some Early Contributions to the Situative Perspective on Learning and Cognition. In M. A. Evans, M. J. Packer, & R. K. Sawyer (Eds. ), Reflections on the Learning Sciences (pp. 59–75). Cambridge: Cambridge University Press. Hoadley, C. M. (2004). Learning and design: Why the learning sciences and instructional systems need each other. Educational Technology, 44(3), 6–12. USU ITLS Faculty. (2009). What’s in a name? An identity shift at Utah State University. Educational Technology, 49(4), 38–41. Hutchins, E. (1995). Cognition in the wild. Cambridge, Mass. : MIT Press. Kienle, A., & Wessner, M. (2006). The CSCL community in its first decade: Development, continuity, connectivity. International Journal of Computer-Supported Collaborative Learning, 1(1), 9–33. Kolodner, J. L. (2004). The learning sciences: Past, present, and future. Educational Technology, 44(3), 37–42. Lave, J., Murtaugh, M., & de la Rocha, O. (1984). The dialectic of arithmetic in grocery shopping. In B. Rogoff & J. Lave (Eds. ), Everyday cognition: It’s development in social context (pp. 67–94). Cambridge, MA: Harvard University Press. Lee, V. R., Yuan, M., Ye, L., & Recker, M. (2016). Reconstructing the influences on and focus of the Learning Sciences from the field’s published conference proceedings In M. A. Evans, M. J. Packer, & R. K. Sawyer (Eds. ), Reflections on the Learning Sciences (pp. 105–125). New York, NY: Cambridge University Press. Palincsar, A. S., & Brown, A. L. (1984). Reciprocal teaching of comprehension-fostering and comprehension-monitoring activities. Cognition and Instruction, 1(2), 117–175. Papert, S. (1980). Mindstorms : children, computers, and powerful ideas. New York, NY: Basic Books. Pea, R. D. (2016). The Prehistory of the Learning Sciences. In M. A. Evans, M. J. Packer, & R. K. Sawyer (Eds. ), Reflections on the Learning Sciences (pp. 32–59). Cambridge: Cambridge University Press. Penuel, W. R., Fishman, B. J., Cheng, B. H., & Sabelli, N. (2011). Organizing research and development at the intersection of learning, implementation, and design. Educational Researcher, 40(7), 331–337. Rogoff, B. (1990). Apprenticeship in thinking. Oxford, England: Oxford University Press. Sawyer, R. K. (Ed.). (2006). The Cambridge Handbook of the Learning Sciences: Cambridge University Press. Schank, R. C. (2016). Why Learning Sciences? In M. A. Evans, M. J. Packer, & R. K. Sawyer (Eds. ), Reflections on the Learning Sciences (pp. 19–31). Cambridge: Cambridge University Press. Stahl, G. (2016). The Group as Paradigmatic Unit of Analysis: The Contested Relationship of Computer-Supported Collaborative Learning to the Learning Sciences. In M. A. Evans, M. J. Packer, & R. K. Sawyer (Eds. ), Reflections on the Learning Sciences (pp. 76–104). Cambridge: Cambridge University Press. 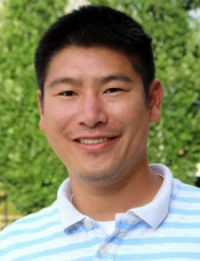 Dr. Victor Lee is an associate professor of Instructional Technology and Learning Sciences at Utah State University. His research interests include supporting teaching and learning of STEM content and practising with new technologies in both formal and informal settings and across age groups. Dr. Lee received his PhD in Learning Sciences from Northwestern University.